Coming over the mountain at Louis Trichardt we struck fog and drizzle that was to stay with us until arrival in Bulawayo. We had to contend with the terrible driving of a couple of people, the first just managing to avoid a head-on collision when overtaking us and two vehicles in front of us on a blind rise. The second tried to repeat the same feat, but to our amazement it was attempted when another car was clearly too close for him to make it. When a head-on seemed unavoidable (yes, he kept going faster to try and make it!) the driver stood on the brakes and swerved onto the gravel on the right hand side of the road, how he kept control of the car is a mystery. The border crossing was done in record time, in the fading light we could see the Limpopo’s swollen waters rushing under the bridge. Bulawayo arrival was around 11:20pm. When driving around the outskirts of the town, Eugene put the "Jet" into the Jetta when crossing an intersection, the cross road being quite raised. Suddenly we were all wide awake as a stream of sparks flew from the car as it bottomed out on landing… Diane Putnam had offered us her fantastic hospitality once again, so we had a cuppa with her and her son Dwayne before collapsing into bed at about 1:00 a.m. 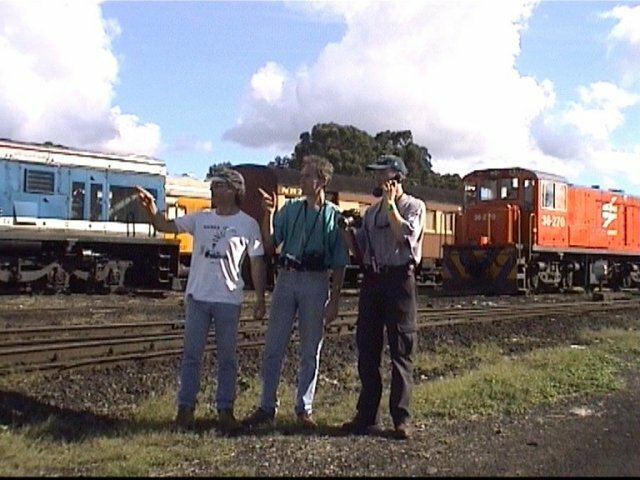 This was the first time we’d been back to Zim since Dave Putnam passed away, and it was quite sad to realise that he was really gone. 5:00a.m. 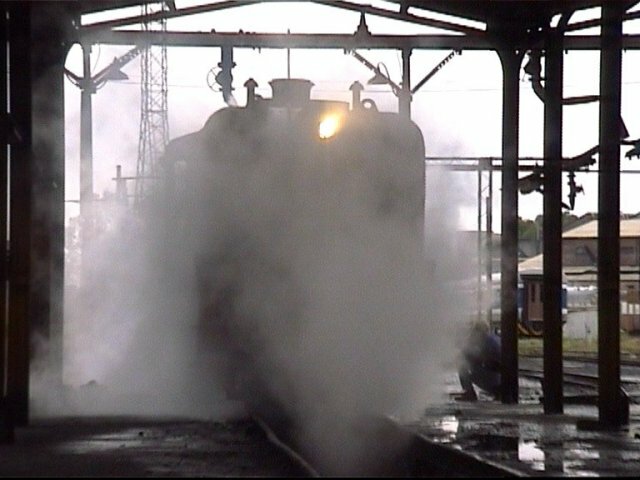 and we were up again, preparing to head to the steam shed. The weather was not looking very promising, with drizzle and low cloud persisting. 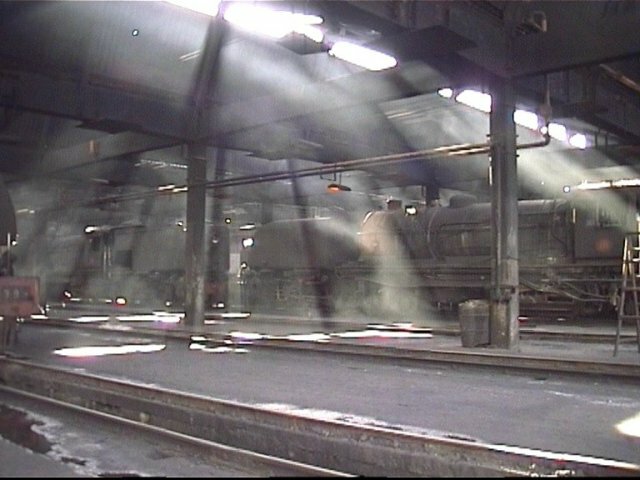 Arrival at the shed was still great, seeing 4 Garratts in steam ready to go. 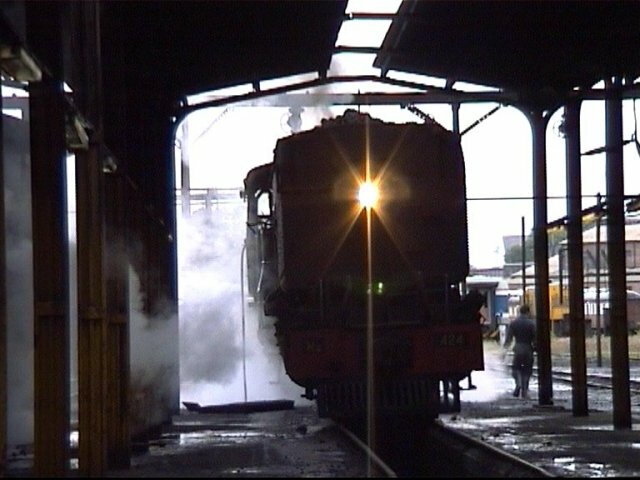 A big surprise was that two of the locos had functioning headlights! 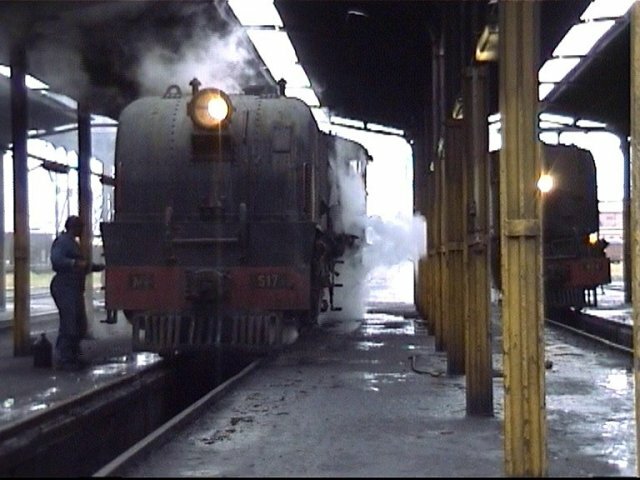 The Westgate shunt which was previously only done by steam in daylight, is now steam worked 24-hours. This is due to the current diesel fuel shortage up there. 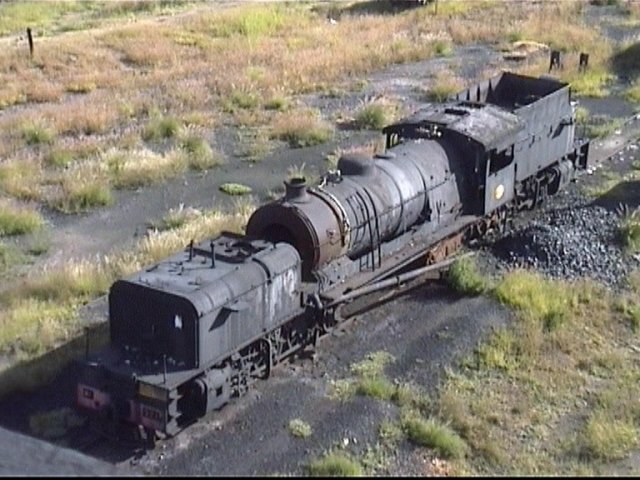 The Unicem loco is in such poor shape I don’t know why they persevere with it. 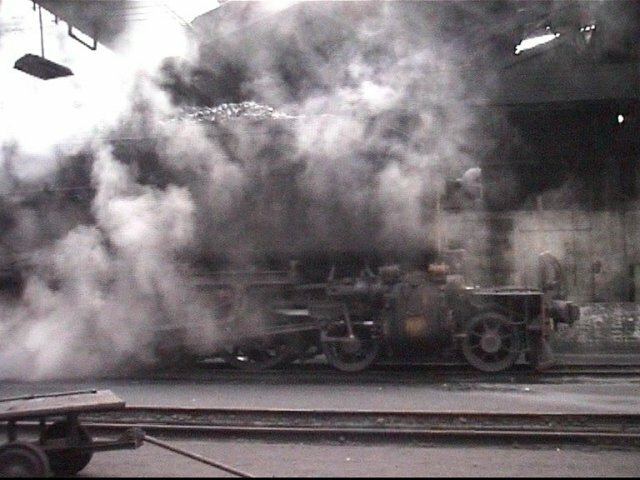 They were lighting it up so that some chemicals they’d added to the boiler water could take effect, then they would let her cool down again. Perhaps it was some of that radiator stop-leak stuff?! Took a few shots around the shed, then headed for the station. 15A 395 was busy shunting in platform 4, got a couple of pics of the loco on the new passenger stock. 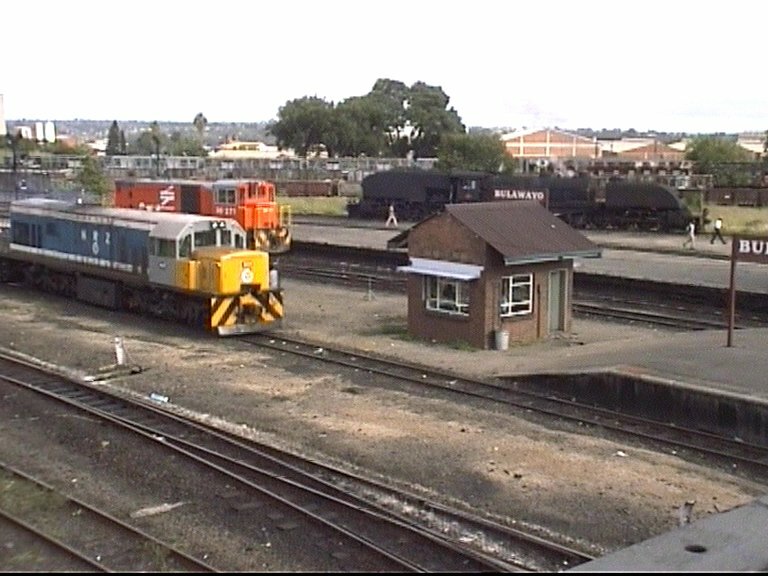 DE6A 1962 was also busy on the goods sidings there. 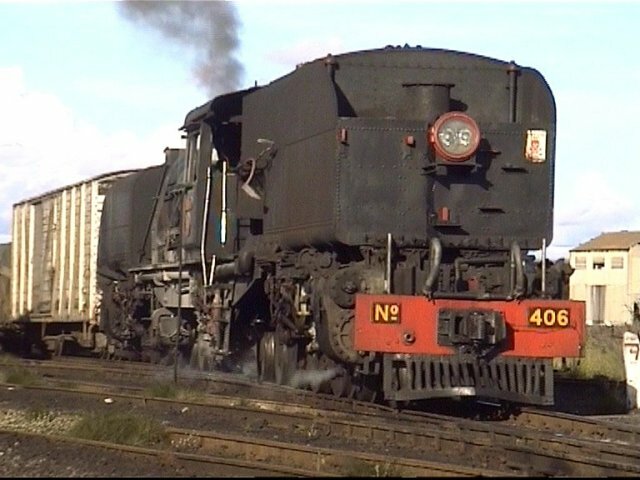 15A 410 was making life in the shed difficult, as her whistle valve had jammed open giving a nerve-grating whine in the background continuously. They later dropped her fire to silence the racket! We left the shed to visit the Museum, which didn’t seem the same without Dave sitting on his customary chair near the entrance. We had a look around and chatted to the guys there. The now-vacant curator position has not yet been filled. 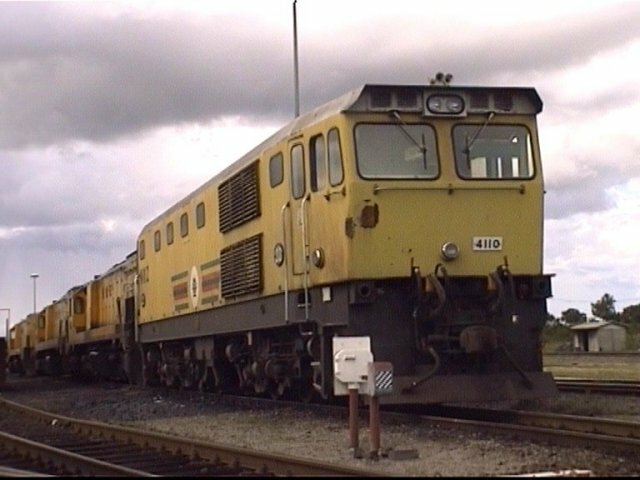 A pleasant surprise at the diesel depot was the presence of EL 4110, one of the NRZ electric locos. 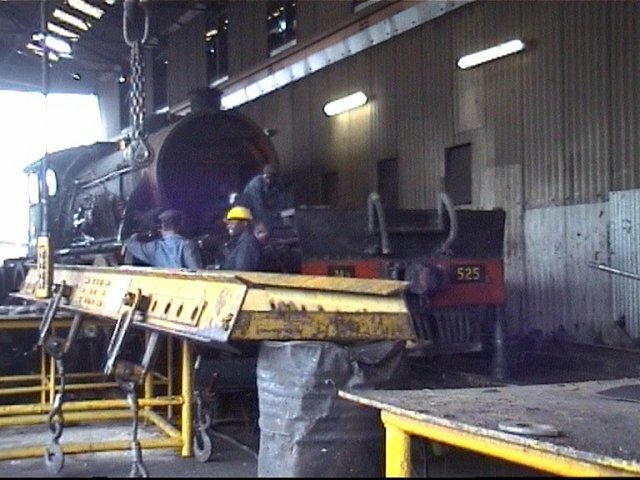 It had been in for repairs and wheel turning and was due to go back to Gweru the next day. 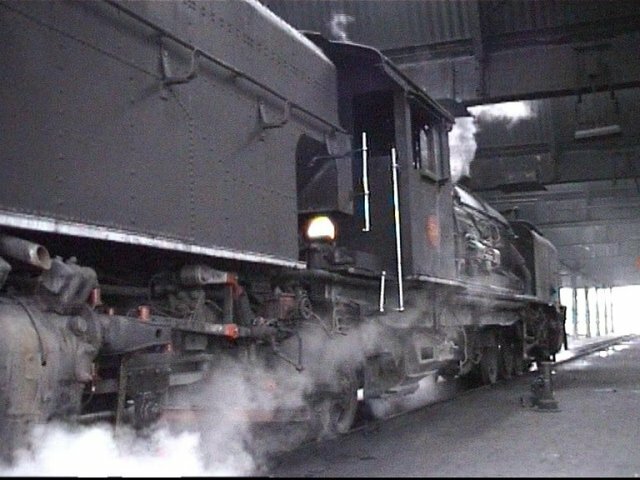 DE10A’s on shed were: 1029, 1027, 1049, 1061, 1051, 1030, 1038, 1034 with 1045, 1050, 1048 and 1026 arriving later. 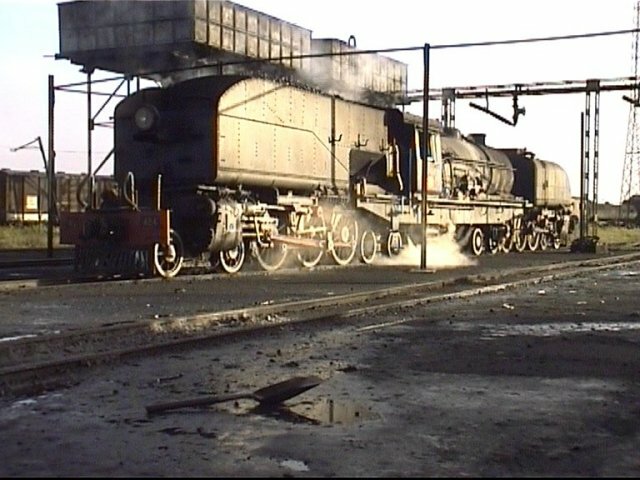 Three Spoornet 34’s (649, 694, 695) were also there, these locos preparing to go out on the new BBR line. 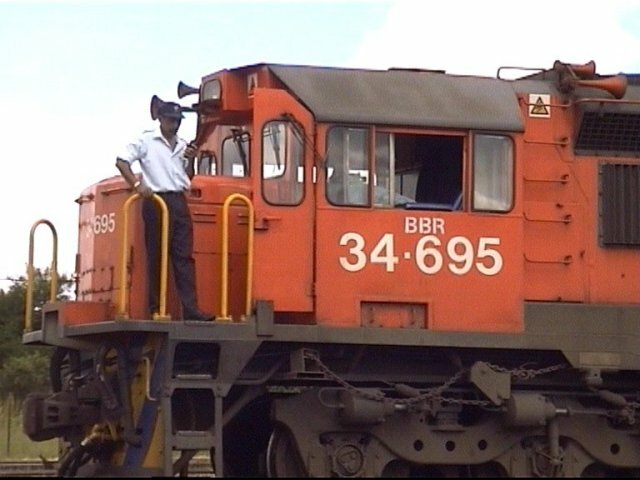 These locos have the letters BBR stencilled below the cab window above the loco number. The weather was clearing by this time, and we were able to get some nice shots from the control tower of the 34’s departing. 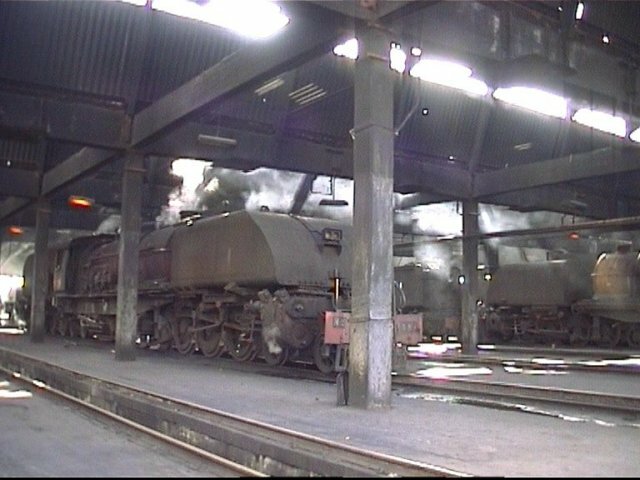 Return to the steam shed later revealed two more Spoornet diesels 36-270 and 36-271 on shed, having returned from shunt duties. 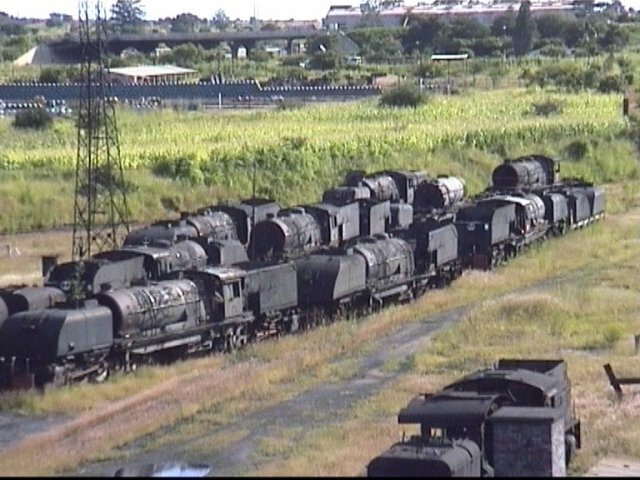 I gather these are being leased from Spoornet. 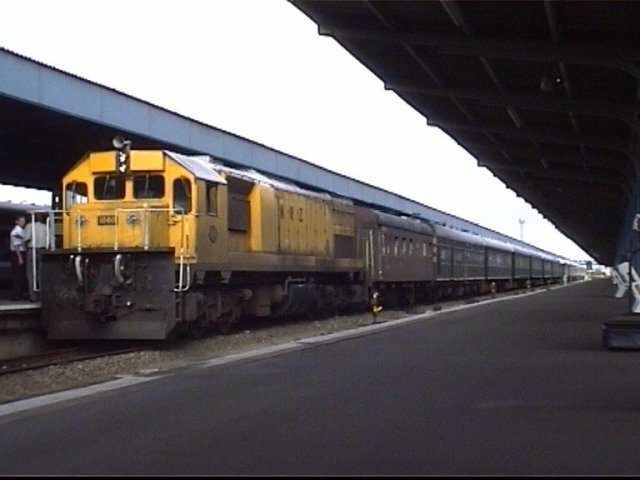 DE6 1609 in the new color scheme was also there. It is interesting to note that the new loco livery has been varied with the bonnet being painted yellow instead of grey like the cab. Looks quite smart. 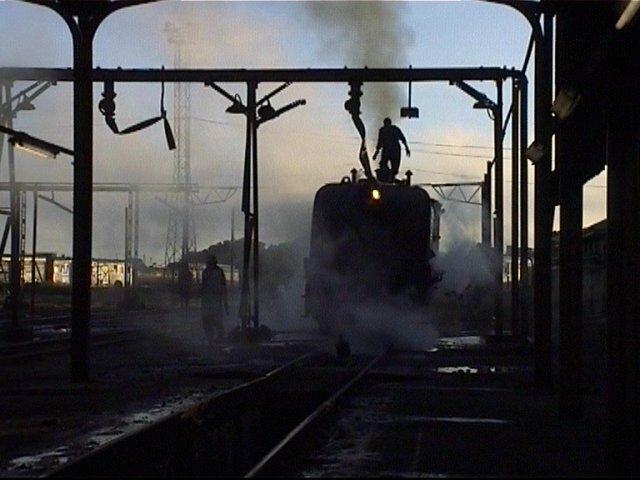 DE6 1603 in yellow livery was busy shunting the carriage and wagon sidings. We scaled the heights of the coal stage for a bird’s eye view of the area. 15A 406 was very busy over at Westgate. 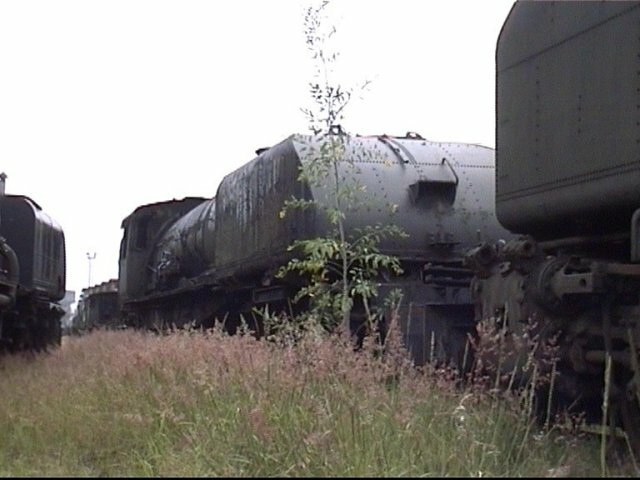 16A 603 was noted dumped near the coal stage, as was 14 501, still retaining its original square tank and bunker. 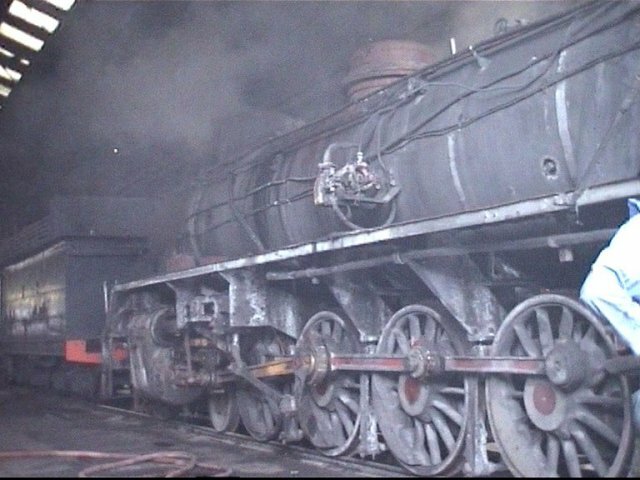 This loco was used as a stationary boiler for some time. We headed over to Westgate for some shots in the afternoon sun. 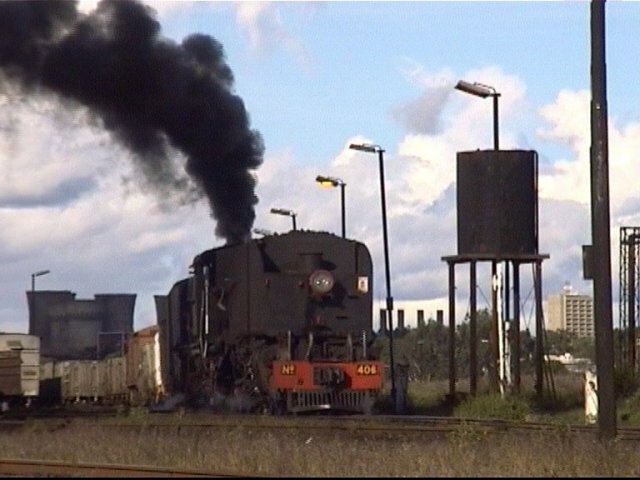 406 came steaming up from New Grain yard with a transfer load, then proceeded to sort these into the Westgate sidings. Nice backlit shots were had as the sun dipped lower. We retired to a friend’s place for a lekker braai. 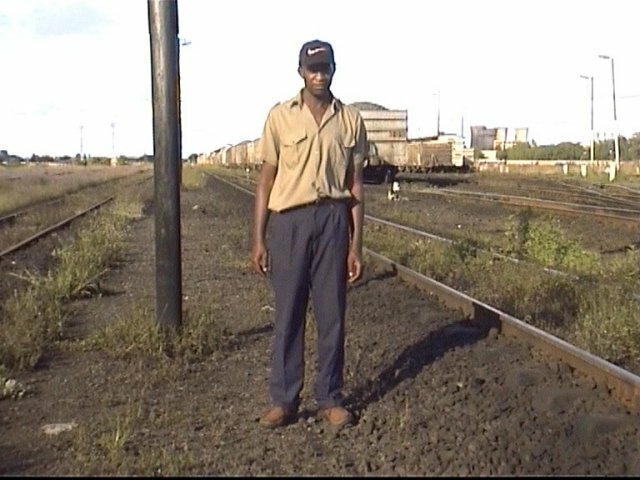 This guy was a fireman on the Garratts when they worked through to Mafikeng and regaled us with footplate stories from days of yore. One of the more interesting tales involved a certain act that was likened to a 15th Class slipping up the grade… Following this we had a, how should I say, "interesting" experience at one of Bulawayo’s night spots before we once again collapsed into bed. 5:00 Sunday and off to the shed again. 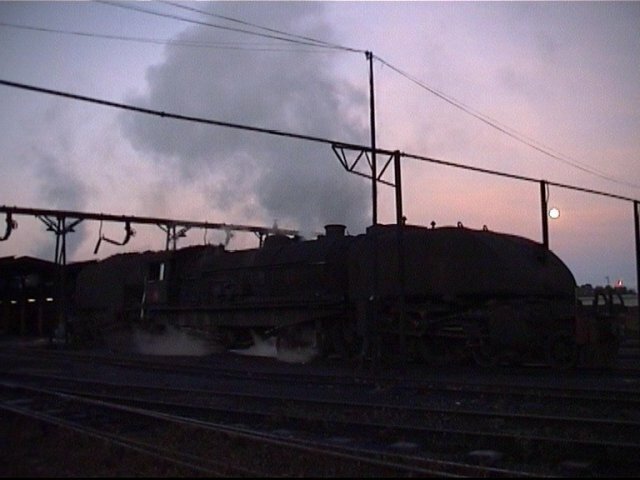 The sunrise was shaping up to be perfect, except when we got to the loco, a fog bank swiftly moved across the sky. There was time for a couple of shots of the Garratts with the moon visible before all was blanked out. Thankfully the gloom cleared periodically which gave us some great morning shots in and around the shed. 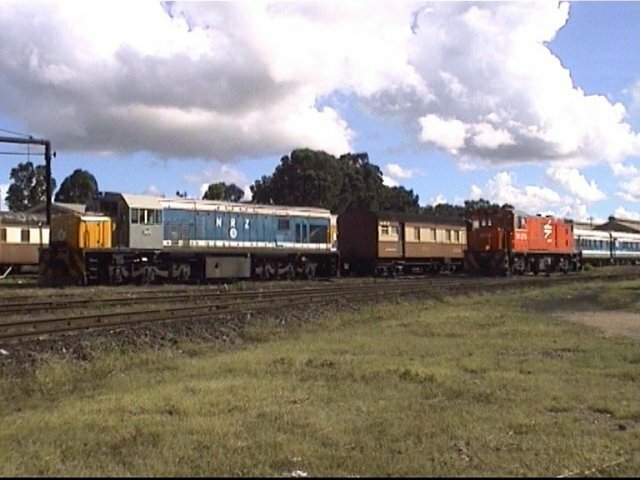 Another trip to the station saw the Rovos Rail Victoria Falls train present (DE10A 1060), the passengers enjoying breakfast, the Victoria Falls overnight and the Harare overnight trains were also in. 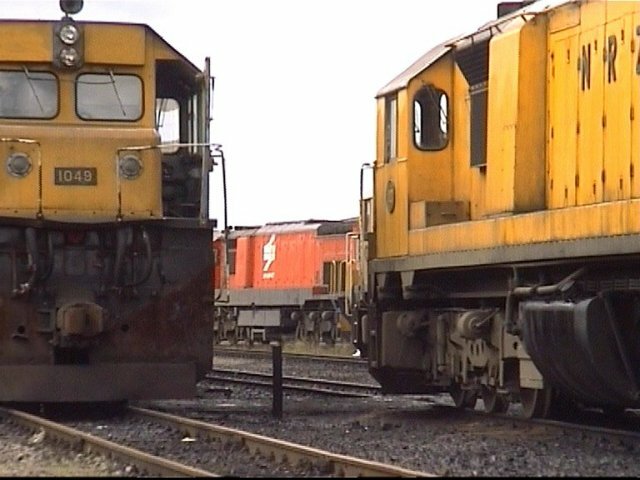 Class 36-271 and DE6 1609 and 15A 395 were all on shunt duties, which made for interesting shots getting the three together. 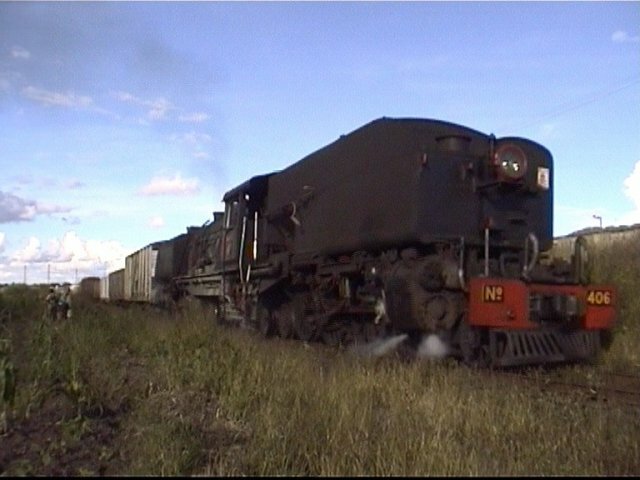 Around 10:00am we departed Bulawayo for the long trek home. Suddenly around 70km from Beitbridge the brakes were applied hard and a U-turn made before we sped off again in the direction of Bulawayo. A few seconds later we came to a screaming halt again… Why? We had spotted a train approaching us along the BBR line, and of course a few photographs were in order! 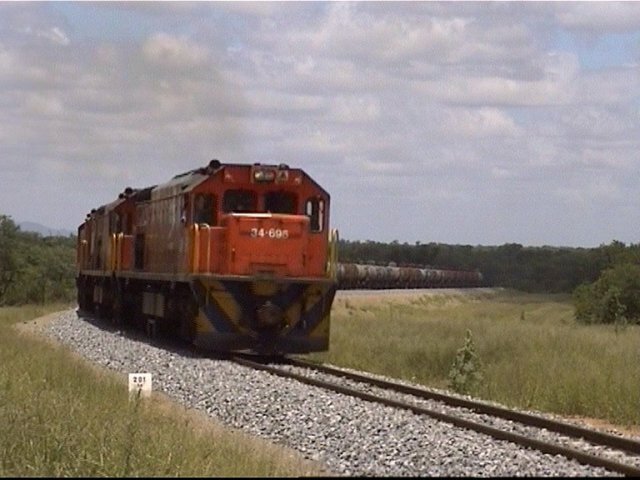 A triple set of 34’s (668, 697, 696) headed a petrol train which consisted of 1 DZ (growing healthy grass in it! ), 32 x XPJ Petrol Tankers followed by two empty DZ’s. I gather the DZ’s are for safety reasons in case of a collision. 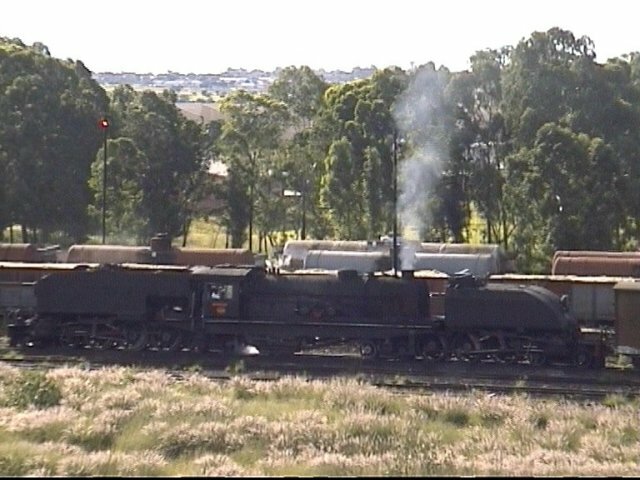 We snapped a few shots of the train at a couple of different locations, the last of which was on a nice curved section at the 201km post, the 34’s growling their way up the grade. This brief interlude of action then gave way to the long trek home again, pausing for a late lunch at Messina followed by a photo stop at Pietersburg to get a record shot of the new-look 8th class. 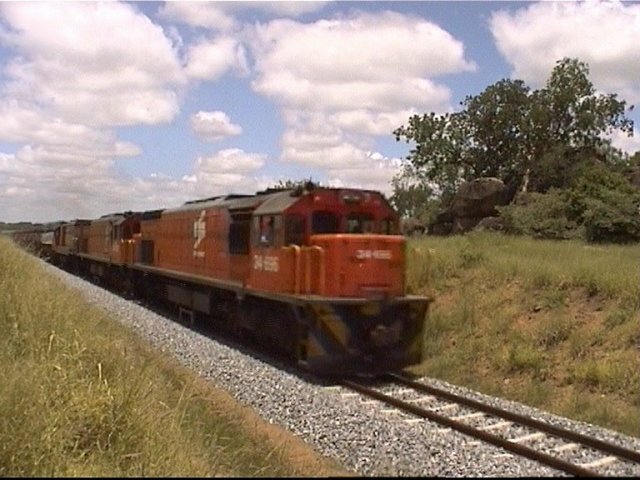 We later heard that the Rovos Rail train was almost completely derailed whilst being turned on the balloon loop at Bulawayo… The floods and rainfall have since cut off Beitbridge from South Africa so we were lucky to have gone when we did. 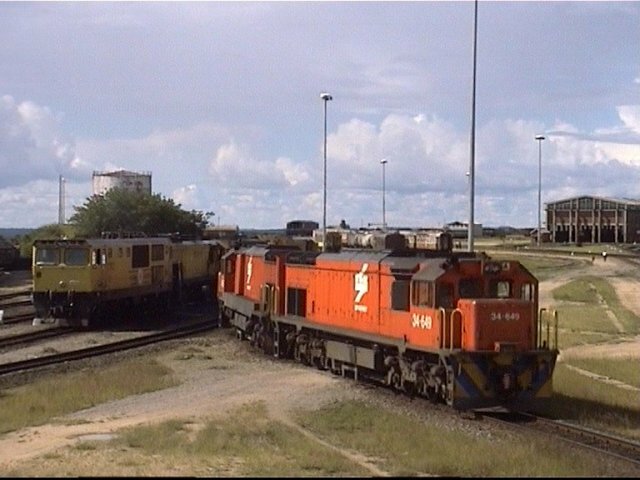 It seems that a Rovos train has been stranded at Beitbridge for a few days now as well.